Vic Bogard has been involved in virtually every aspect of construction and development. From building homes in the fifties with his dad, to the present cutting edge company, constructing the most modern and beautiful buildings in central and northern California. He has developed many projects from beginning to end: finding property, developing plans, working with owners and architects, and assisting with the move-in of a satisfied tenant. After 46 years in the industry, he decided to retire and turn his shares of Bogard Construction, Inc. over to his son Chip. 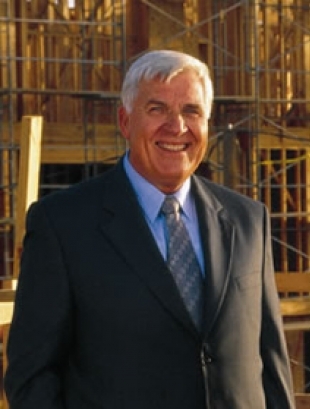 Currently, Vic serves as consultant and advisor to the Board of Directors of Bogard Construction. Vic still enjoys going to the office, but in the afternoons you will often find him puttering in his workshop. He now has time to pursue his love of history, reading and travel, but his first love is still working with wood.